Find out what a Buick model will cost you to insure. Ratelab’s car insurance calculator provides a quick, easy and affordable way to create accurate auto insurance estimates. Taking your basic insurance information, the calculator searches dozens of Ratelab’s industry partners to find not only the best match for your needs but the best prices, up to 10 low-cost quotes. Start now by entering your home postal code above, in the space provided. The table below shows Buick car insurance cost for a sample driver. Methodology: We surveyed Buick car insurance prices in select Canadian cities for the purpose of illustrating the average quotes for a male driver aged 35 years in city downtown with owned ENCLAVE 4DR 2WD 2015 model car. Please note that car insurance prices depend on many factors including your age, location, driving history and more. So, to get a customized quote, enter your postal code above. Luxury cars not only see to occupant comforts, there’s also a general pattern of safety for those inside the cars. Buick, as GM’s entry-level luxury brand beneath Cadillac, certainly holds true to this tendency. The Insurance Bureau of Canada compiles information about all accidents occurring in the country, sorted by car year, make and model and rated for performance based on insurance claims categories. Personal injury claims show how well vehicles protect the driver and passengers. When a car model routinely shows lower claims costs for personal injury, the better protection and occupant safety that car provides. In the most recent IBC results, all Buick models perform better than average at occupant safety. This trend translates to overall lower risk associated with Buick vehicles, so these may be cheaper to insure than other brands in similar car categories. Unlike high-end imported luxury cars, Buick’s North American manufacture and membership in the GM family seems to ensure a steady stream of affordable parts. This is evidenced in collision claims data. Usually, luxury models cost more to repair after accidents. Only the 2012 Buick Lacrosse four door scores more expensive than average. All other Buick models demonstrate at least average performance, such as certain years of the Buick Regal, Verano, and Lucerne. Remaining years and models perform better than average in collision claims costs, another factor that makes Buicks cheaper to insure. Comprehensive insurance claims show a similar picture. 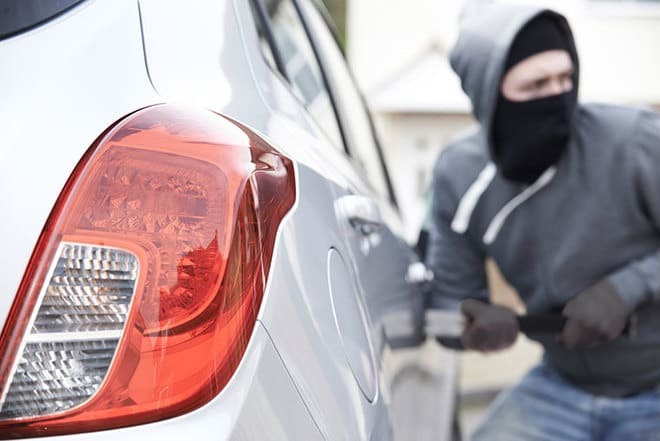 Theft is one area covered by comprehensive insurance that shows brand preference that reflects in statistics. Buick models don’t show up on any recent list of most stolen vehicles. Neither do Buick models show more expensive comprehensive insurance claim costs, except the 2012 Buick Lacrosse and 2007 Terraza. Buick remains a luxury brand with a higher price point. A general rule of auto insurance is simply that more expensive vehicles cost more to insure. This factor certainly affects models in the Buick lineup. Vehicle performance is another known factor. While Buick doesn’t offer a mainstream high-performance sports car, some models do offer high-performance options that may impact insurance pricing. Insurance companies perceive performance improvements as an invitation to operate a car in a more aggressive manner. Whether a driver does this is irrelevant. The potential for aggressiveness remains, and that increases the risk when that vehicle compares to its stock counterpart. When there’s greater risk, an insurance company charges more for a policy. The traditional market for Buick products favours the more mature driver. Buick models stereotypically fit drivers in their 50s, well established in life, conservative in values and driving habits. In other words, a safe driving demographic. That presents overall low risk. One of the trends in luxury car marketing over the past decade seeks to excite younger drivers with models previously geared to older motorists. While on an individual basis a younger driver will often pay more for insurance, the success of this Buick youth movement may present a surge in accident incidents for Buick vehicles. This may present an overall higher base risk factor for Buick models over time. The Takata Airbag Recall, the largest recall of its type in North America, affects virtually all manufacturers. Buick is one of these manufacturers. 2016 Buick Enclave SUVs have a recall notice in effect for a fire risk associated with the windshield wiper motor overheating. Tire manufacturer Goodyear has a recall on Fortera HL tires that may be installed on 2015 Buick Enclaves. Front seat belt cables on 2009 to 2014 Buick Enclaves can wear out and fail. A recall notice is in effect for this problem. 2014 Enclaves have a software issue that may cause the fuel gauge to report inaccurately. Enclaves from 2008 to 2013 have a recall notice for a wiring harness that may affect side restraint deployment. Buick Encores from 2015 have a minor issue with missing information on tire placards. Korean built Buick Encores from late 2012 to 2013 have a recall to correct an airbag issue. This is unrelated to the Takata problem. Buick Encores from 2013 with heated steering wheels are recalled to correct an issue where the wheel can loosen or separate from the column. 2014 Lacrosse sedans have a wiring splice in the driver’s door that’s susceptible to corrosion. A recall also covers 2014 Lacrosse for a possible brake manufacture issue. Buick Regals from 2012 and 2013 are recalled for a generator control module issue that might cause engine stalling and fires in the trunk. Even though Buick is already an affordable product line to insure, there are always places to look for further savings on auto insurance. A common and well known technique called multi-line insurance permits discounts across several policies. This strategy is particularly effective when a motorist has more than one vehicle and homeowner’s insurance written by one company. Some insurers also permit insured recreational vehicles such as boats and motorcycles in multi-line discounting. Tuning deductible amounts saves money day to day for drivers whose savings can handle a bigger hit when an accident occurs. By accepting a higher deductible, a driver has monthly car insurance premiums reduced. Similarly, a motorist with few savings may prefer to pay more monthly for a smaller deductible, and less obligation if an accident happens. Affordability means different things to different drivers. Buick is the entry-level luxury division of General Motors. The company is based in the United States. There are eight Buick models available, and the cars are positioned above Chevrolet, but below Cadillac regarding luxury and features. 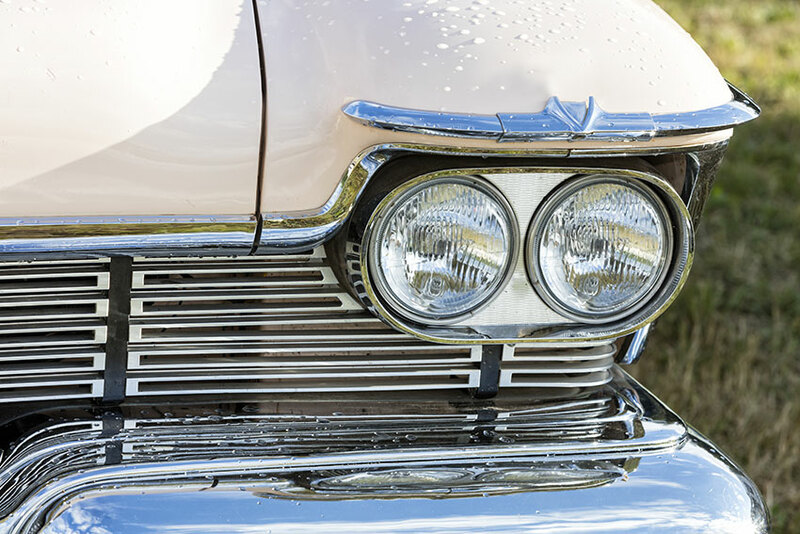 Buick is the oldest car manufacturer that is still active. Before General Motors was founded, William Durant, the founder of GM, worked as a manager in Buick. Race car driver Louis Chevrolet raced for Buick. Buick’s range is not very large, but new models are constantly added. Today, they offer the Verano, the Regal, the LaCrosse, and the Lucern car models. The Enclave crossover is also available in Canada. Buicks don’t have the popularity that other luxury car brands have. Though they have been growing steadily in the luxury model market, they still don’t sell as many as more traditional luxury manufacturers. Their most popular car in Canada is the Buick Regal. Buick takes safety seriously and provides good safety equipment in their vehicles. These features are common in the luxury car world, but for the prices of Buicks, they are above average. Buicks come equipped with driver and passenger front and side airbags, rear head, body and side airbags, ABS and braking assistance, traction and stability control, daytime running lights, child safety locks and integrated turn signal mirrors. Buicks have a good record for reliability. They are expected to run without problems for a long time. They enjoy an above average reliability in their segment. Buicks aren’t that common, even for a luxury car. Because of this, there are few statistics available about the brand. Buick models come equipped with many safety features to give owners confidence in their vehicle’s safety. They come with standard electronic door locks, keyless entry, engine immobilizer, roadside assistance, remote horn controls, and lights. Start your search for Buick car insurance today using Ratelab’s car insurance calculator. Simply enter your home postal code and fill in your personal car insurance information along with that of the Buick model you’re targeting. Ratelab’s search engine shops your case with our car insurance industry partners to find the best rates on the most appropriate coverage. It takes just a few minutes to save hundreds.